These reviews are collected from around the internet from great places like our Facebook Page, Google, Yelp, Super Pages and more! We do our best to respond to all reviews and let our wonderful customers know we appreciate them, and if there is ever a problem, we do our best to make it right. Like to leave a review? We would love to hear from you! Our goal for 2015 is to be the highest rated towing company in Lake City, and we will need your help to do so! Please visit our post and follow the directions to leave us a review on Google, Yelp and Facebook! These guys have helped everyone in my family, right down to the time my Mom flipped her truck and was trapped. They got there right away and handled the entire situation and got my Mom out safe!!!! Great reliable, service. Always professional.Great reliable, service. Always professional. Never fear because Bryant’s Towing is here. Bryant’s towing are reliable and a company that you can trust. They treat you like their family. When you are broken down. Never fear because Bryant’s towing is here . 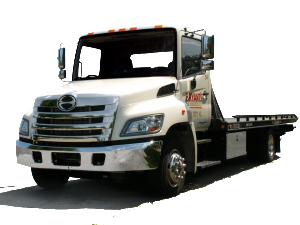 Bryant’s towing are reliable and a company that you can trust. They treat you like their family. When you are broken down. Never fear because Bryant’s towing is here. Super fast response and nice driver! They are an amazing company that have went the extra mile for me several times. I highly recommend them! I needed a tow one night and Joe Martino came from Bryant's Towing. I needed to be towed for a long distance so I had the chance to ride with Joe. Not only was it a pleasant experience but he was courteous, helpful, and prompt. I would call him again in a heartbeat. 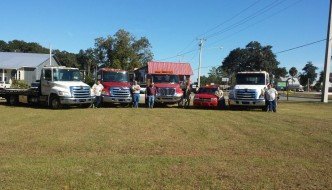 Bryant's Towing is a family owned business that he runs with his wife, and it is obvious that he takes great pride in it. The customer service was excellent. Driver was courteous and professional. Arrived quickly and did not rip me off. I think they’re a pretty good company. I know a driver that used to work there was very courteous and professional ! I think they’re a pretty good company. I know a driver that used to work there was very courteous and professional ! Will assist you in your every towing need! These men are kind and compassionate toward the distressed motorist and regardless of the hour, will assist you in your every need including finding safe comfortable lodging, restaurants, or even if necessary, road-side first-aid. Their equipment is late-model and in superb mechanical condition. These men are kind and compassionate toward the distressed motorist and regardless of the hour, will assist you in your every need including finding safe comfortable lodging, restaurants, or even if necessary, road-side first-aid. Their equipment is late-model and in superb mechanical condition. When you're in trouble you can count on Bryant’s to treat your car like it was their own! Put this number in your contacts and save it! Have used them, they are great !! I was stuck in Lake City for over an hour trying to fix my car. AAA told me it would be an hour and a half before someone could reach me. However, about 30 mins later Joe showed up, And fixed my car instead of towing it. I recently had a tow truck driver come out to pick up my car. At first it seemed like the only way i could have my car moved was if i signed a waiver. I was not able to start my car at all. It was important to have my car start so that I could put it in neutral. Then the Tow Truck driver brought out a Battery booster. After awhile my car was able to turn on. Which made it possible to put it in neutral. I ended up not needing to have my car taken to a shop for repairs. If you can't start your vehicle i strongly suggest Bryant's Tires & Towing!! !